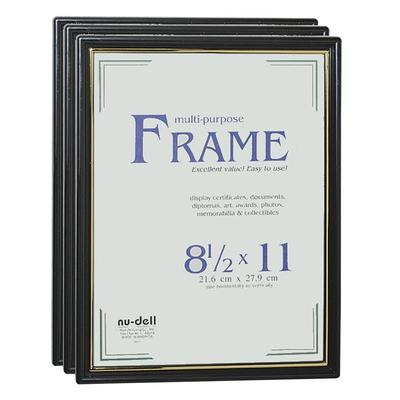 Add A Little Luster To Your Wall Space With The Original One-Piece Plastic Frame. One-Piece Design With Easy-Slide-In Feature Means No Corners To Cut Or Come Apart. Micro-Tooled To Hang Vertically Or Horizontally. Black Plastic Frame With Gold Stripe And Plastic Face Holds 8-1/2" X 11" Documents..
Add A Little Luster To Your Wall Space With The Original One-Piece Plastic Frame. One-Piece Design With Easy-Slide-In Feature Means No Corners To Cut Or Come Apart. Micro-Tooled To Hang Vertically Or Horizontally. Black Plastic Frame With Gold Stripe And Plastic Face Holds 8-1/2" X 11" Documents.